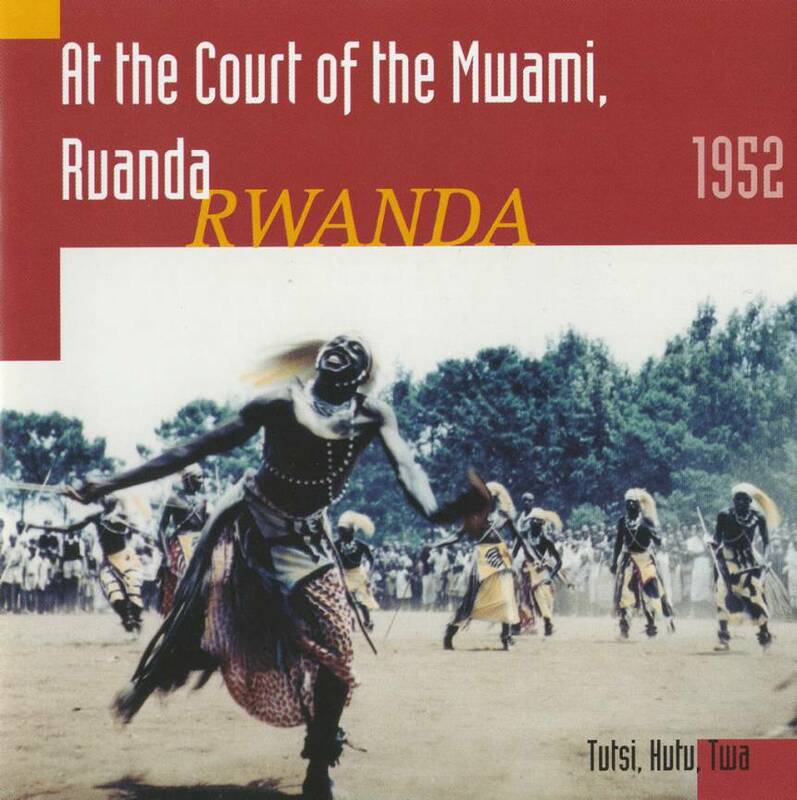 In 1961 the court of the Tutsi king was no more and the music exclusive to it was never heard again! These historical recordings made in 1952 at the court by pioneer Hugh Tracey give an us impression of this place of absolute power and yet beautiful music. Featuring some of the best ensemble drumming you will hear anywhere, praise songs of great intensity, eerie horn ensembles. Total time: 59'08". 16 page booklet. Tracklist: 1. Hugh Tracey Speaks, 2. Zirasuka, 3. Imirindi, 4. Uruchina, 5. Umterero, 6. Ichimanura, 7. Agasiga, 8. Ichirusha, 9. Nimuze Tugwragwere, 10. Hahirwa Nyiramibamwe, 11. Amaliza, 12. Benimana, 13. Mpundu, 14. Igiterane, 15. Rukanga Rwamajana, 16. Ikizire, 17. Ingaju, 18. Kyarutema, 19. Inyamibwa, 20. Lama, 21. Akakira, Urubunda, Uwabigega, Umuganura, Urugamgazi, Umubambura, Tubaru Shumwami, Uruchina, 22. Ibiteyo, 23. Zigezikaragwe, 24. Agasiga K'I Gaseke, 25. Uruchantege. Songlines 1999 (GB): "The most significant element in the Tracey reappraisal will inevitably be Michael Baird's 20-cd retrospective. Rather than re-releasing the Music of Africa series, Baird has dug deep into the original material. Each of the new volumes focuses tightly on a specific cultural milieu, giving a far greater sense of the richness of the music and of the seriousness behind Tracey's original approach."